I am coming to the end of my first year as Civil Service Gender Champion. So, as well as wishing everyone a successful 2016, it’s a good time to reflect on how the last 12 months have gone. I hope there is no doubt across the Civil Service now about the commitment to diversity and inclusion from permanent secretaries and other senior leaders in all departments. We have published an ambitious new plan and all permanent secretaries have diversity objectives. But even more important than the words is the action we are now seeing on so many fronts. New and expanded talent programmes; senior men working part-time and taking parental leave; face-to-face unconscious bias training, now the norm for leaders and managers; staff networks growing, developing and challenging. There is a buzz and an optimism about diversity and inclusion. One of my favourite pieces of news in the past week was seeing MI5 top the Stonewall index of the best employers for lesbian, gay or bisexual staff (you kept that one quiet – but the secret’s out now! ), and to see so many other civil service organisations in the list. And one of my favourite new-year reads was the Civil Service blog of 13 January – containing 7 resolutions for better career health. I particularly support resolution number 6 – “Be honest with your leaders”. I was also glad to see number 5 – “Mentor someone, get yourself a mentor, or both”. Over the past year, as I have met civil servants across many departments in my role as gender champion, the importance of mentoring and personal support has come up time and time again. The word mentor means “an experienced and trusted adviser”. Good mentoring involves creating a private, trusted space where you can share the important things that matter to you – whether they are personal, professional, or a combination of both – and drawing on your mentor’s experience to help you make decisions. To be successful, mentoring usually requires the mentee to be clear about the question that is on their mind; and the mentor to be prepared to share some of their own personal experiences. Research shows that mentoring can particularly help people who are in the minority, or at more junior grades, to have greater influence, and to progress their careers. 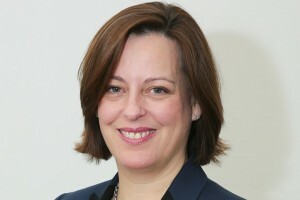 Sarah Rapson, Gender Champion at the Home Office, is leading a great initiative to pair up women DGs and directors with those running gender and women’s networks in departments. The idea is to provide mentoring support and advice to network leads – particularly in working out how to make change happen in their departments. There are plenty of other routes into mentoring in the Civil Service, too. Talent schemes such as the Fast Stream and Fast Track Apprenticeship, the Positive Action Pathway, and Minority Ethnic Talent Association (META), include mentoring. Civil Service Learning (CSL) have a coaching and mentoring database, and many departments have their own databases. Rannia Leontaridi from the Cabinet Office is working with others across government to explore the different forms of mentoring we see across Whitehall, and to establish if there is more we can do collectively to complement departmental efforts. I have drawn on the support of mentors throughout my career, particularly at times when I have been considering a career move, or trying to work out how to balance work and family life. It isn’t something that stops as you get more senior – I still draw on support from mentors – some I have known for years, some more recently. Looking back, I wish I had been braver in asking for mentoring support when I was younger. I wrongly thought I was imposing on people’s time. Most people I know who act as mentors say it’s a pleasure to be asked. So, I hope 2016 will be a year in which diversity and inclusion really take off where you work in the Civil Service. An important part of making progress is to keep improving our policies on recruitment, talent, training, promotion and flexible working. But an inclusive culture is created by the way we all behave towards each other in our day-to-day working life. I would love to see our new momentum around diversity and inclusion become unstoppable. And I believe it will be if we all make it so. You can follow Melanie Dawes on Twitter: @dawes_melanie. A really interesting article Melanie. I have spent the last two years as regional lead on the embrace programme in HMRC for BAME colleagues. They are able to choose a senior leader mentor at one of our events. This has been a resounding success for both mentor and mentee, strong relationships have been formed and I hear stories daily of how much the mentor has got out the experience too. Thanks for this blog Melanie. I've been mentoring in DWP and more recently via CSL for a little over 3 years now and am convinced of its value. However, as you suggest, there is a great need to look at mentoring in the round, and also to create a network for mentors to share and improve practice. Is Rannia a good contact for this conversation? Agree with this article. It would be helpful to have a link to where you can find information about mentoring/sign up. I can thoroughly recommend mentoring. For three months I have been mentoring a Land Registry colleague who wanted to get back to complex casework after a long break. This has been on a fairly informal basis between John, myself and our Manager. The idea is that John feels able to ask me any question at any time on any topic. When we started the objective was to help John to succeed in getting back to complex casework, but to my surprise I have gained a lot from this too - questioning my own decision making and reasoning; sometimes even coming across unusual things that I had to look up the answer to, thereby adding to my own technical knowledge. A very worthwhile experience all round. I agree with Mark's comment above. I am looking for a Mentor but still not sure where to start. Even after reading the article above. The Civil Service Learning website provides a coaching and mentoring database (https://civilservicelearning.civilservice.gov.uk/). I contacted two potential mentors, both twice, but neither of them got back to me. Perhaps the database would benefit from some more proactive management. Thanks for the original article Melanie Dawes. I think you are right Phil, the CSL mentor service definitely needs some strategic thinking applied, where are the gaps in the offer, (regionally and in terms of kinds of experiences and diversity characteristics) ? what kind of people are not mentors and why? who is on the list but no longer has capacity to offer support? Until then local and departmental networks are setting up their own mentoring services because the central offer is not meeting their needs. It's clearly not efficient. Yep, definitely need to reinvigorate the mentoring and coaching part of CSL. As a Digital Delivery Manager AND a mentor I'd like to help! More Bang and less flash please, I fully agree with Mentoring, but the above article does not give anyone any idea of how to go about it. DECC are supporting Women's Engineering Societies (WES) relaunch of their hand matchmaking mentoring scheme MentorSET. DECC staff will have an opportunity to sign up to the scheme after its relaunch later in the year and we will be looking to be recruiting new female mentees and both male and female mentors. We are also looking at the potential to roll the scheme out to other departments across the CS. DECC also have a very good general internal mentoring scheme. Melanie, Thank you for your blog. Whilst I would agree that mentoring is a fantastic way in offering staff the opportunity to develop their talents, mentoring in isolation will not help to break down the barriers, which are clearly impacting on the ability of staff from the under represented groups from progressing in their career or ensuring that the future senior management structure is reflective of modern society. Certainly, as a BAME Officer I have observed significant change but there clearly is still much for the CS to do. A really good article however I can understand the frustration many poeple have expressed above regarding find a good mentor. The Network which is a Home Office staff support group for BAME staff will be relaunching a Mentoring scheme in the next few weeks. the scheme is open to everyone to keep an eye out on the horizon page for the launch date.